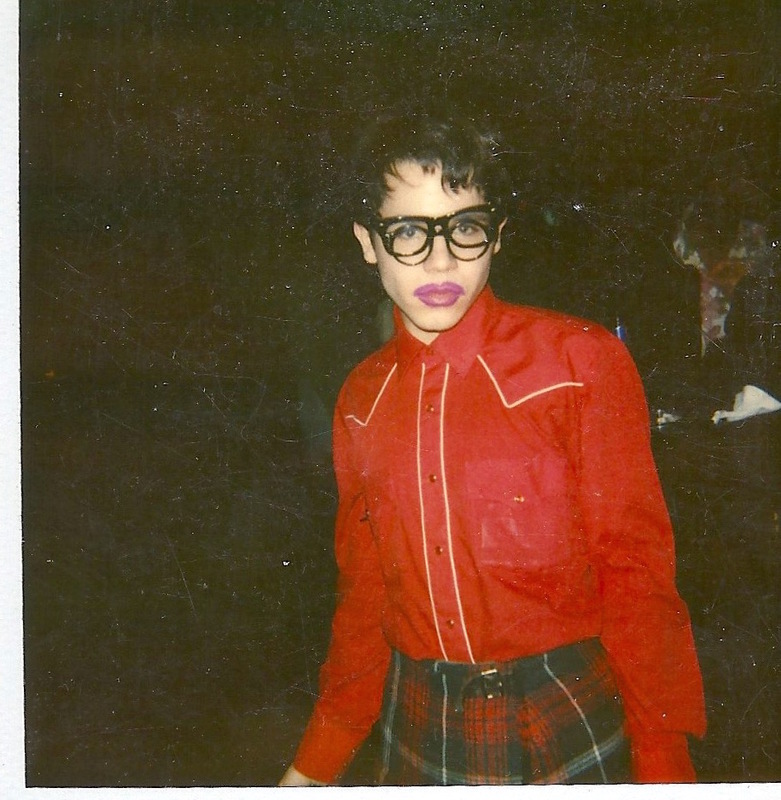 In addition to the many Club Kid photos online we are launching this page with some unseen photos from personal collections. A few more will be added here and there to keep you coming back! Enjoy, Kids!! One of my favorite photos from The Celebrity Club at Tunnel, circa 1988, featuring Larry Tee, Lahoma, Jennifer Govan, Goldyloxx and Janet Poison on the main stage during the revealing of the top ten songs of the night. Desi Monster and Jennytalia at the Official Outlaw Party in Jackson Square Park, NYC, during one of the Style Summits, l a "national convention for the unconventional" that we'd held for two years, 1992, 1993. Anna Evans and Ernie Glam at Anna and Kayvon's Friday night Freak Chic event at The Box, where I was the most under-dressed individual in the entire club! Michael Alig, Sacred Boy, Ernie Glam and Sushi at The Shelter after/outlaw party in an abandoned factory in Chicago. Early 90's - I'm sure I don't remember the exact year. Dean Bowery wearing his signature double glasses, an homage to Leigh Bowery, at what looks like the Red Zone. 1989-ish. Kenny Kenny, Lavinia Co-op and Chris Couture at Limelight, probably Disco 2000. Early 90's. Legendary and super-missed Codie Field, of the House of Field, and my beloved friend Jennytalia, at a fund-raising dinner to help pay my legal defense in the Peter Gatien trial. Me and Iconic Club King/mentor/Father figure Rudolf, having a cocktail with Clara the Chicken at Disco 2000. It was only the second week at Disco 2000 before anyone knew it would blow up into the memorable cash cow it became a few months later. Top Tier club stars Sacred Boy and Keda, two of the most creative and talented of the Club Kid family, at an outlaw party in the 23rd Street subway station in celebration of the first annual Style Summit! Superstar Deejay Keoki and fellow Project X publisher Julie Jewels circa 1988 while home for Christmas in South Bend, Indiana. It's one of my favorite photos of them both. Me and Keoki at Larry Tee's Love Machine, 1990. Don't ask about the yellow yarn thingies dangling from my eyelashes! Instead, pay attention to the size of those gams! 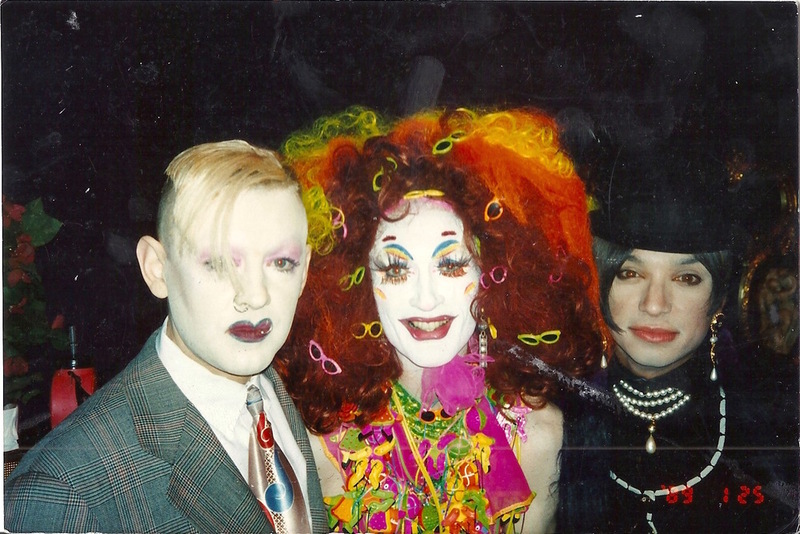 Nick Nasty, jewelry designer Maria Ayala and and assorted colorful club kids at the entrance to It, the VIP sister club to The World. Subscribe below for new Club Kids photo notification!